This was the test patch to make sure the floor was what we thought it was. Guess what I’m doing this weekend? GORGEOUS! Get to work, Friend! Lovely! I always liked light wood floors. Amazing, isn’t it? We pulled up a corner of the rug in our living room awhile back and discovered beautiful hardwood underneath. Funny that at the time my house was built (1942), hardwood was not considered to be special, but carpeting was. 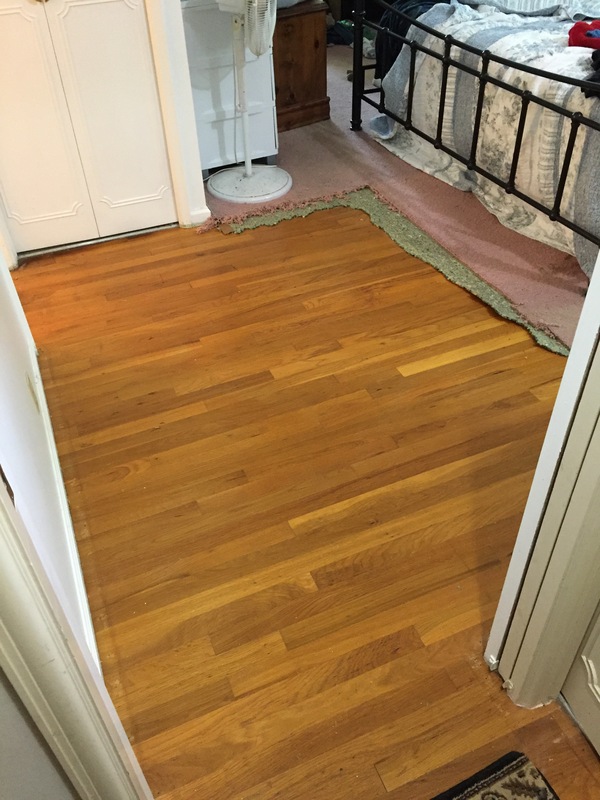 From what I can tell, every room in the house (except the kitchen) has the original hardwood under the carpeting. Hella yes! And already polished by the looks of it. What a find!